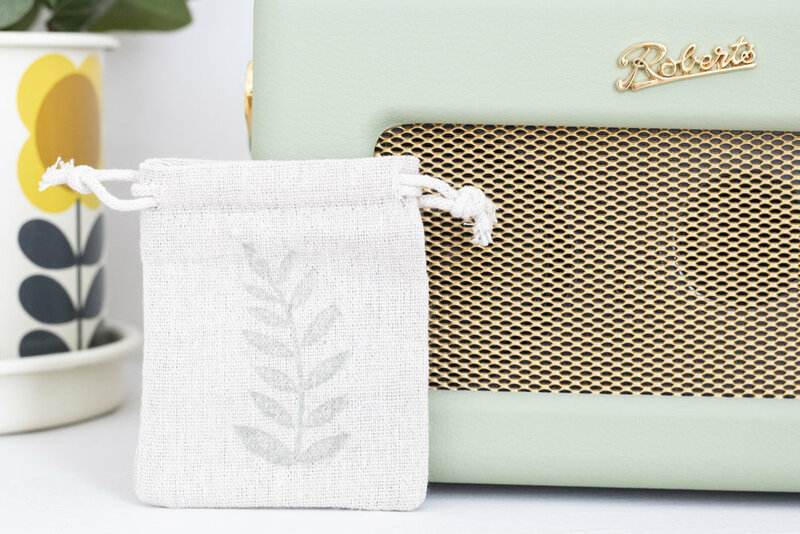 Make these little bags for presents or to store things in your home. 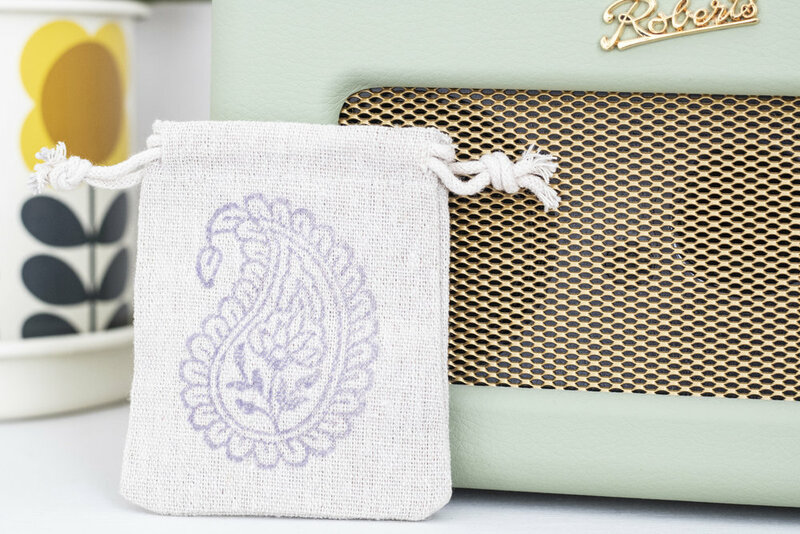 All you need is brown muslin bags, fabric paint and block prints. 1. Cut out a small piece of baking paper to go inside the muslin bag. Once you have done this, place the muslin bag on top of your foam. Make sure the foam is thick as this helps with the printed blocks. 2. Pour a little paint on to your palette and dip the sponge in. Dab the paint onto the block with a tapping motion, don’t squeeze or wipe the paint onto the block. 3. Place the block down exactly where you want the print on the muslin bag and apply gentle pressure all over. Hold the material tight with one hand while peeling the block away with the other. 4. When you have finished with the block, it can be cleaned by wiping hard with a dry rag. Let the muslin bag dry, before you iron. 5. To make the painted fabric washable the colour must be heat sealed by ironing on the reverse side. You can place baking paper on top of the muslin bag before ironing on the reverse side.